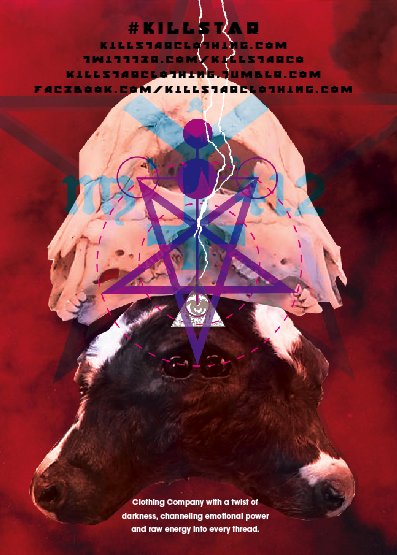 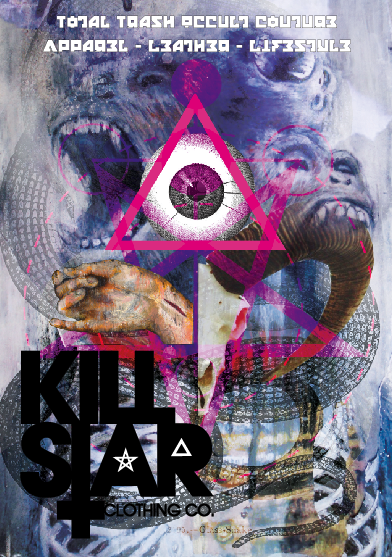 Kill Star Clothing commissioned me to design a flyer for their trade show. They had seen my Sharon Needles design for Menergy and wanted something in a similar vein as their latest collection was inspired by the dark and the unorthodox. I took lots of hints from the Kill Star Tumblr, a spooky and stylish pinboard of all things satanic and magickal.